Representatives of the World Food Programme visited the Institute on 26 January to collaborate on ways to improve livelihoods and innovations, and encourage youth in agriculture. The five-member team led by Myrca Kaulard, the WFP Nigeria representative and country director, was received by the Deputy Director General, Partnerships for Delivery, Kenton Dashiell. In his address, Dashiell expressed his delight at the partnership: “I really appreciate the partnership that we have built over the last two years; I look forward to building a stronger one,” he said. 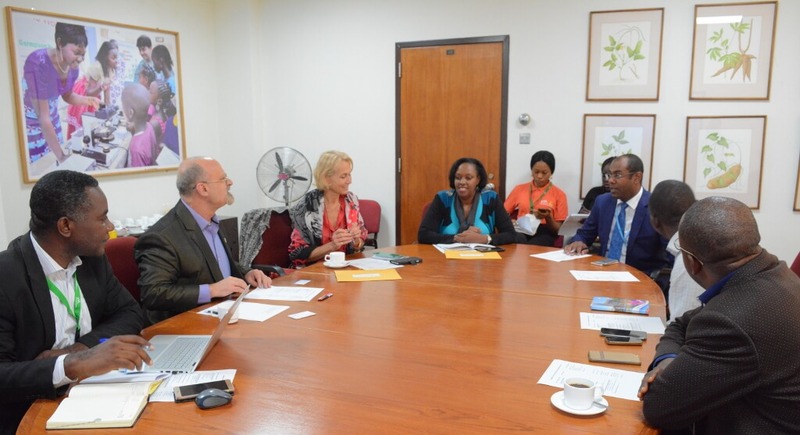 Roundtable discussion among representatives of World Food Programme and IITA management. 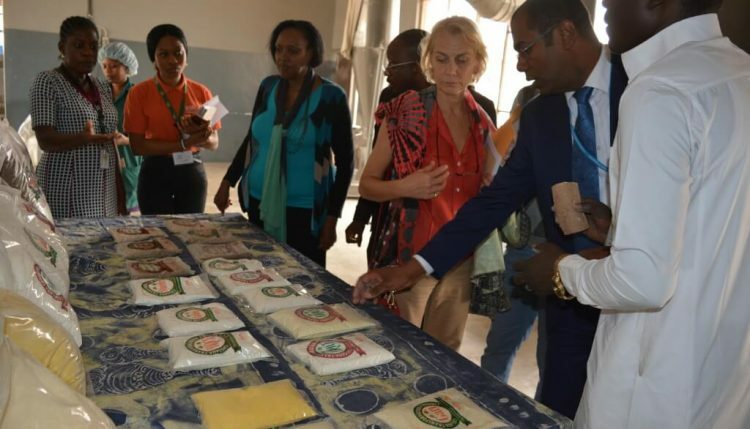 According to Kaulard, the collaboration is important as the WFP in Nigeria is faced with the incredible challenge of reducing food importation and ensuring special access to nutrition, most especially for children and pregnant women. She stated: “It is fundamental to synergize with IITA, an institution with similar interests of improving livelihoods and creating an enabling environment for all.” She congratulated IITA for its “amazing work.” She reiterated WFP’s focus on food nutrition as more than 1.2 million people, most of the young farmers, women, and children, depend on their activities for survival. “We want to look at how we can use technologies and innovations to transform nutrition and the health sector to achieve our aim of being one of the forces focusing on transforming livelihoods and engaging youth in agriculture, and to see how, in partnership with IITA, we can move from saving lives to changing lives,” she added. The team was taken on a tour of the Institute which included the Yam aeroponics, Plantain multiplication, Semi-Autotrophic Hydroponics, and Nutrition/Crop Utilization facilities.